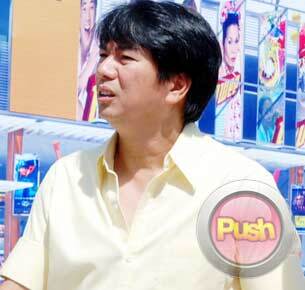 Willie Revillame and TV5 will defy judge's prouncement not to launch any new show this month. ABS-CBN Corporation yesterday (Oct 15) filed for a motion to resolve before the Quezon City Regional Trial Court following public announcements by Willie Revillame in the media that he will be pushing through with the launch of Willilng-Willie on October 23, which will defy the judge's pronouncement that no show will be launched until he makes a ruling on ABS-CBN's petition for a temporary restraining order (TRO) vs the TV host. ABS-CBN requested the honorable court to immediately make a ruling in its application for the issuance of TRO and writ of preliminary injunction before October 23, which is the date when Revillame will pilot his game-variety program Willing Willie. The Kapamilya Network justified the urgency for a ruling with Revillame'rsquo;s recent statements in a news article where he said "nothing can stop" his show from airing. 'nbsp; He even claimed that there is "no truth" that he entered a 'lsquo;gentlemen'rsquo;s agreement' which is contrary to what the judge has pronounced. ABS-CBN also cited TV5'rsquo;s official statement, which said Willing Willie is set to air on October 23. Other than the motion to resolve, ABS-CBN formally filed a reply to Revillame'rsquo;s opposition to the network'rsquo;s request for TRO and writ of preliminary injunction. ABS-CBN clarified that the pendency of Revillame'rsquo;s omnibus motion does not preclude the court'rsquo;s resolution of ABS-CBN'rsquo;s verified motion for TRO and writ of preliminary injunction. It also enumerated all requisites present in the case enough for the court to grant its request for a TRO and writ against the TV host, and that the issuance of these will not result in a prejudgment of the instant case. Last October 4, ABS-CBN filed a motion for the issuance of a TRO and writ of preliminary injunction in the Quezon City Regional Trial Court and requested it "to restrain Willie from creating or performing work similar to the work under the agreement for any person or entity in direct competition with the business of ABS-CBN and from engaging in activities which are adverse to the interests of ABS-CBN." ABS-CBN also sought the court to prevent Willie from appearing or using his name, voice or likeness, directly or indirectly, for promoting any product or service in print, radio, or television or any form of advertisement and committing any act which jeopardizes the success of the program or which may affect the good name and goodwill of ABS-CBN. QC RTC Judge Luisito Cortez earlier said, "I will study the pleadings submitted to me by Oct 15. 'nbsp; Both parties have a gentlemen's agreement that no show will be launched while the court has not yet issued a ruling on the TRO and other issues." Revillame violated the behavioral provisions of his contract when he threatened the ABS-CBN management during the 4 May 2010 episode of Wowowee, with a resignation if management does not fire another artist of the network. After weeks of hiatus, Revillame resurfaced and called for a press conference to announce that he was rescinding his contract with ABS-CBN. ABS-CBN has maintained that it is the aggrieved party, and as such, is the only one that can decide to end the agreement.